As an Amazon seller, have you asked these questions before? How do I improve my sales and boost ROI? How do I get better visibility for my listings? How can I dominate a specific category? Every Amazon seller has asked these questions, and even more, at some point in their lives. And the fastest way to address these concerns is to take advantage of Amazon Sponsored Products. Try our Amazon Sponsored Products Optimization management for 14 DAYS, absolutely FREE! In a nutshell, the more visible your listing becomes, the bigger the chances of you getting a sale. By utilizing Amazon Sponsored Products, you are leveraging the fastest and easiest way for your listing to appear on Amazon’s search result for a specific keyword related to your listing. Though there are organic ways that you can use to attain this highly coveted spot, doing so takes time. And in the world of e-commerce, every second that your listing is not visible to your target audience, someone else is closing a sale that should have been yours. A viewer is someone who just wants to look around Amazon in the hope of finding a good buy. A buyer on the other hand is fixated on a specific product and is “ready” to purchase said product. Buyers go to Amazon because it’s convenient to them. All they need is to type in a keyword and the results for the product that they are looking for is instantly showed to them. 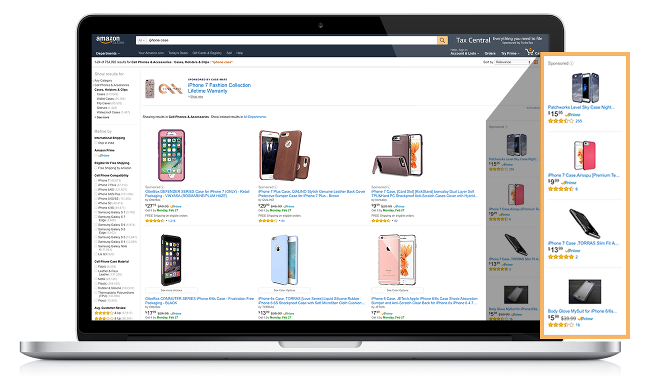 By leveraging Amazon PPC, your listings are immediately shown to these buyers. Factor in engaging product descriptions and the right pricing, and the chances of converting your listing is heightened. When a listing is targeted for an Amazon PPC campaign, several factors will soon come to play in reaction it it having better search result visibility. And you know what, all of which are important organic ranking factors for Amazon’s search algorithm! So by implementing an effective Amazon paid advertising campaign, you are also indirectly improving the status of your listing organically. This ensures that your listing has enough juice to still appear in the search results even after its PPC campaign has ended. Unless you’re an expert at Amazon optimization, hiring a PPC company to do it for you is your best option. Of course, you can choose to learn and implement it yourself. But with PPC being a specialized field, wouldn’t you rather leave it to the experts? Unlike doing it in-house, hiring an experienced PPC company means that their only task is to focus on creating, calibrating, implementing and monitoring your campaign. PPC campaigns are a constantly evolving entity. Keywords that were relevant a few weeks ago may be obsolete by next week. An experienced PPC company understands that an Amazon advertising campaign needs to adapt and stay fluid in order to remain effective. Like the saying goes, “two heads are better than one”. If that’s the case, what about three, four or five PPC experts? Regardless on the package you choose, professional PPC companies will devote several people to handle your campaign. It can be argued that a single person can come up with a decent PPC campaign. And yes, there are some instances where this is indeed true. But do remember that such only became success stories because the person involved is already adept at PPC. Having said that though, ask anyone who is an expert in PPC, or SEO in general, and I will bet my left leg that he/she would say that a bigger and competent PPC team is more effective than a single person. A common misconception is that PPC campaigns are pricey. True, running a campaign requires additional funds. But if your PPC manager understands what he/she is doing, the return you get from each campaign is far greater than your initial investment. Professional Amazon PPC companies knows what keywords to use, not only to maximize each campaign, but also in making the most out of each cent that you invest to it. Those like us that have been in the industry for many years knows for a fact that the most expensive keywords are not always the most profitable. For us, it’s about finding the right balance between click through rates, impressions, and lowest cost per click. This is what we call, competitive advantage. As a listed partner of Amazon Service Provider network, SellerLift can help you get the most our of your Amazon Sponsored Products Ads! We all know how profitable Amazon can be when you implement the right tools. Let us be one of your tools. Sign up for our FREE 14-day trial now!